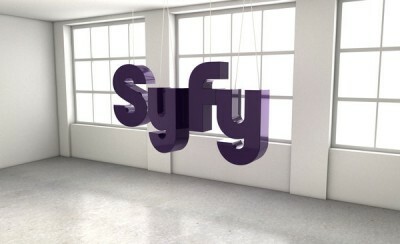 The folks at Syfy are keeping very busy developing new TV shows. The cable channel has announced 28 scripted and reality series that they have in development. In addition, they’re launching Defiance, a scripted show that ties in with a multi-player online game, and six new unscripted shows; School Sprits, Paranormal Highway, Collection Intervention, Viral Video Showdown, Ghost Mine, and Hot Set. There’s still no word on if Sanctuary will be cancelled or renewed but it’s worth noting that the press release doesn’t list the series amoung its “powerhouse lineup of hit series.” They tout Warehouse 13, Being Human, and Alphas but, to be fair, they also don’t mention Haven which returns this summer for season three. One Mile Straight Down – When a powerful earthquake hits California and opens up a chasm bigger than the Grand Canyon, it reveals an enormous hidden ocean lying deep beneath the earth’s crust. Billionaire adventurer James Exeter works with the government to take an advanced nuclear submarine down to explore it and discovers more than he ever could have imagined. Writers: Skip Woods (X-Men Origins: Wolverine), Naren Shankar (CSI: Crime Scene Investigation) and Deran Sarafian (CSI: NY). Executive producers: Skip Woods, Naren Shankar and Deran Sarafian. A production of Universal Cable Productions. What do you think? Do you plan on checking out Defiance or any of Syfy’s new reality shows? Do any of the shows in development sound interesting? Which would you tune in to see? More about: Collection Intervention, Collection Intervention: canceled or renewed?, Defiance, Defiance: canceled or renewed?, Ghost Mine, Ghost Mine: canceled or renewed?, Hot Set, Hot Set: canceled or renewed?, Paranormal Highway, Paranormal Highway: canceled or renewed?, Sanctuary, School Sprits, School Sprits: canceled or renewed?, Viral Video Showdown, Viral Video Showdown: canceled or renewed? “SYFY IGNITES THE IMAGINATION WITH MOST ORIGINAL PRIMETIME PROGRAMMING HOURS IN HISTORY” The reality TV shows don’t count, Syfy. I applaud their forays into new scripted SF/F shows. If not on a channel called SyFy then where? But I also agree with Davers that the reality crapola with people running around in the dark pretending to hear bumps in the night is silly. I’d rather they aired reruns of Supernatural, Smallville, and Fringe. What is up with all those paranormal shows? I never liked those…always come of as silly. .Oh look, night vision and camera is all shakey as they spin around trying to see some noise the producers made in the background. I guess it would be a new drinking game. Take a shot everytime somebody says “what was that?”.